On May 2, Nepal enters into the 2nd week since the earthquake struck. In Kathmandu, although shops are beginning to open and it seems the city residents are beginning to go back to their normal lives, prices are soaring, shortage in food and water remains a problem, and many of the affected continue to live under plastic sheets and makeshift tents near their collapsed houses. In the remoter areas of Nepal’s mountainous regions, many are still missing and the military and police are gathering information day and night. 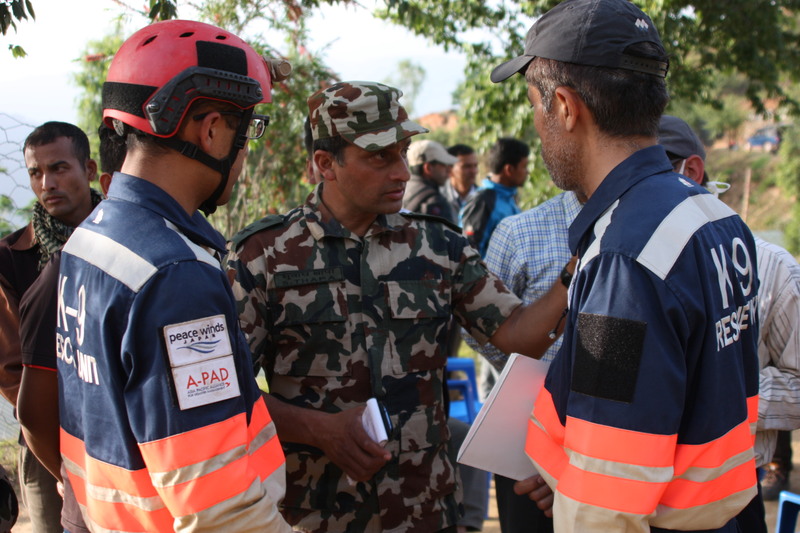 A-PAD and Peace Winds Japan’s joint team continued its search and rescue operations with a plan to move to the least accessible area east of Sindupalchowk district, which has experienced devastating destruction and people are still coming to terms with the full scale of the damage. A-PAD/PWJ plans to utilize helicopters in cooperation with a local transportation company Simrik Air and is preparing to redeploy its SAR team and sniffer dogs to this region. A-PAD team is also preparing?to revisit the remote village of Kumbindi in Chaultara located in the district of Sindhupalchowk?where it conducted assessment yesterday and distributed biscuits. ?A-PAD partnered with a local NGO ? Institution for Suitable Actions for Prosperity (ISAP) and a CBO ? 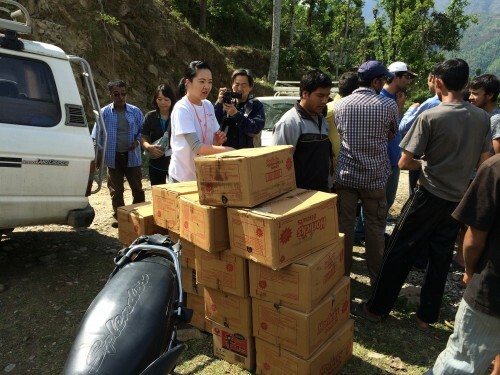 “Janahit’ to?support the affected population by providing 700 ration packs . The local CBO- ‘Janahit’ in consultation with its village leaders and representatives have selected beneficiaries on a priority basis. ISAP ? the local NGO is coordinating with A-PAD in seeking suppliers and arranging logistics. ISAP has a network of volunteers and well-wishers who have volunteered in sharing space and packing of relief items. A-PAD encourages local organizations lead relief operations with community involvement. 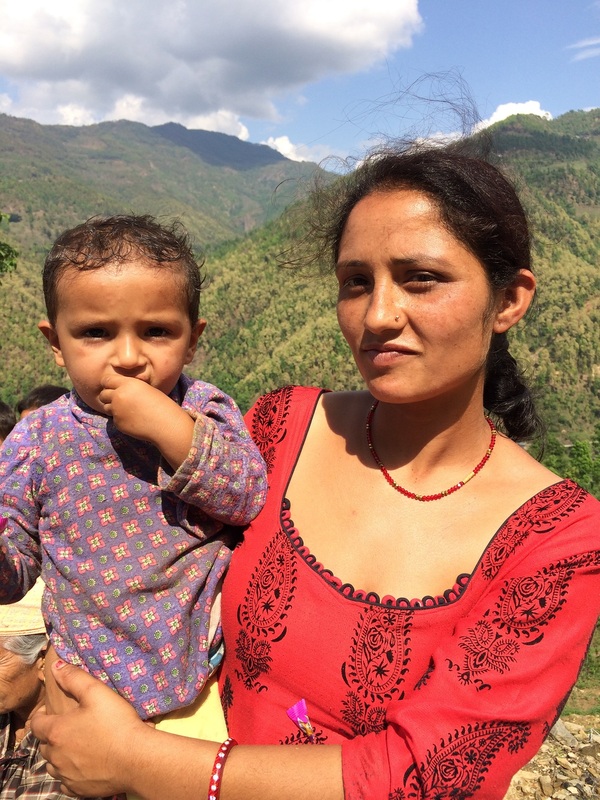 One of the residents of Kumbindi,?Pratima Sapkota, 22 years of age talked to our team while holding her 2 year old son?Fati. She says “My family of 7 have survived on cultivating corns and beans. When the earthquake struck I was really scared and could barely stand. I remembered that I must protect my child so I ran. These are all the clothes my son has. We’ve lost everything, but my son and family are safe. I’m grateful that you have come here to assist us”. A-PAD member Dhaka Community Hospital Trust’s emergency medical team has also started to conduct treatments in Kathmandu as well as assessments in neighboring areas. 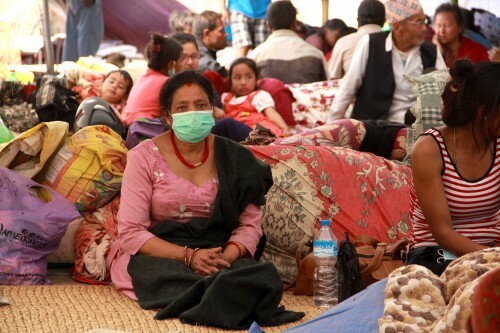 They treated people in Kathmandu?who are still staying in temporary tents as well as provided?water purification tablets to clean their ?drinking water. They also?visited Sankhu village where houses have been seriously damaged in last week’s earthquake. 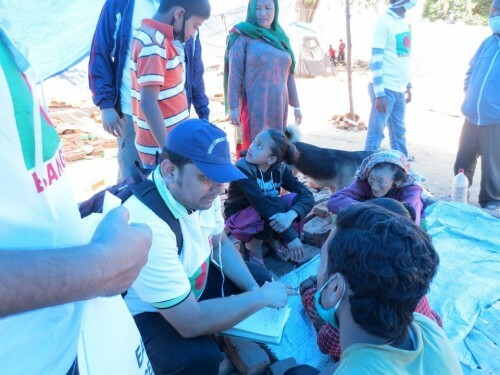 DCH team coordinated with?the local?authorities with the purpose of setting up a medical camp in the village. They concluded that the urgent?priorities at the moment are medical support, water and sanitation. Since A-PAD has successfully secured a helicopter to extend its operations into inaccessible areas, its SAR team and medical team will be able access the remote villages of Sindhupalchowk district from May 2nd. Your support will help deliver emergency assistance to more people on the ground. Make a donation.